OTTAWA (Nov 29, 2016) – On behalf of its 54,000 members across Canada, the International Union of Operating Engineers (IUOE) welcomes the approval of the Line 3 Replacement Program by the federal government. The government is facing several significant challenges and should be applauded for making the tough decisions that will ensure that our natural resources will be sustainably developed, while ensuring the economic benefits are broadly realized by working Canadian families. Enbridge’s Line 3 is a 1,097-mile crude oil pipeline extending from Hardisty, Alberta to Superior, Wisconsin. It was installed in the 1960s. The proposed Line 3 Replacement Program involves replacing existing pipe with modern pipe materials utilizing modern construction methods. The $7.5-billion program would result in the restoration of one of Enbridge’s primary pipelines. 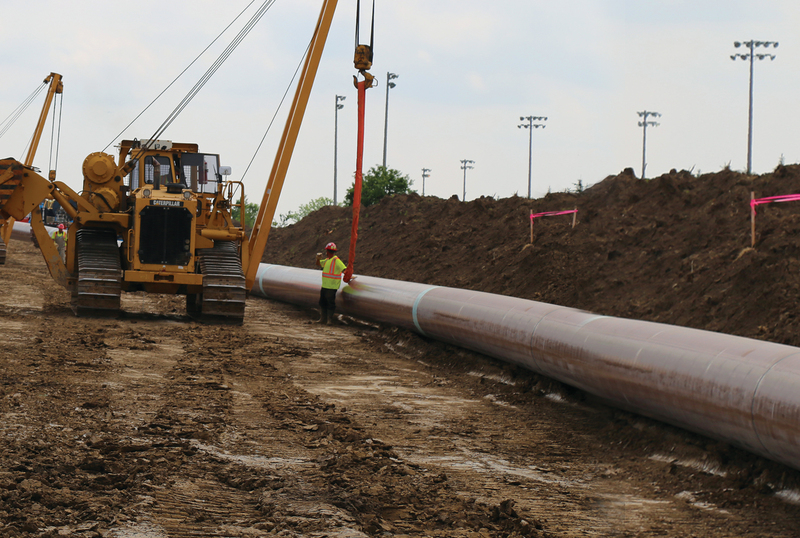 Replacing the pipeline is the most efficient way to maintain the reliability of Line 3. This replacement project will ensure the integrity of Line 3 by improving efficiency and safety with a new pipeline built to the highest standards. Once completed it will be the largest replacement program in Canadian history, guaranteeing the safe efficient transportation of product through Canada. IUOE is committed to working with Enbridge to ensure that the Line 3 Replacement Project is built to the highest safety and environmental standards. “Our membership’s commitment to safety, the environment and best construction practices when it comes to pipeline construction is priority number one. We build it right the first time,” said Lionel Railton, Canadian Director of the IUOE. Enbridge has and continues to take the necessary steps to ensure that the economic benefits of a project of this scope are broadly realized by all Canadians. Partnering with IUOE Training facilities will allow access to best in class training opportunities. Many aboriginal groups along the right of way have already taken advantage of this partnership, ensuring that when the project does get underway that meaningful employment opportunities are available. Training and employment opportunities that will lead careers rather than a single job for those willing to participate. Citing the success and quality of its training facilities, IUOE business managers note the positive impact these initiatives have had on their locals. “IUOE Local 987 and our Operating Engineers Training Institute worked collaboratively with Enbridge and our signatory contractors throughout Manitoba during the construction of the Alberta Clipper Project in 2008 and 2009. Together we engaged many groups to provide training that led to many success stories. We are confident that this will be something we can build on and improve with the opportunities presented on the Line 3 Replacement project.” said Marc Lafond, Business Manager for IUOE Local 987.